There's nothing hotter right now than starting your own libertarian-minded community from scratch. Or at least threatening to do so. Glenn Beck imagines building a community/theme park somewhere in the United States called Independence Park which would celebrate entrepreneurship and sustainable living. Others envision Idaho as the perfect spot to build a fortress-like libertarian utopia called The Citadel, where "Marxists, Socialists, Liberals, and Establishment Republicans" need not apply. Still others — like PayPal founder Peter Thiel — are drawn to the idea of floating cities in the ocean, a libertarian dream of the future called seasteading. 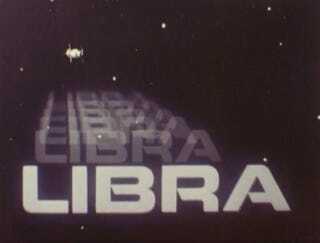 But all of these dreams pale in comparison to the grand utopian vision of a 1978 film called Libra. Produced and distributed by a free-market group based in San Diego called World Research, Inc., the 40-minute film is set in the year 2003 and gives viewers a look at two vastly different worlds. On Earth, a world government has formed and everything is micromanaged to death, killing private enterprise. But in space, there's true hope for freedom. The film explains that way back in 1978 a space colony community was formed using $50 billion of private funds. Back then, government regulations were just loose enough to allow them to form. But here in the year 2003, government regulators are trying to figure out a way to bring them back under their oppressive thumb through taxes and tariffs on the goods they ship back to Earth. Let's face it. Your world is falling apart. Politicians engaging nations in wars against the will of the people. Increasing worldwide poverty and starvation. Inflation, high unemployment, staggering crime rates. Skyrocketing costs of nationalized health care. Overpopulation. Inability to meet your energy needs. Bankrupt cities, bankrupt states, bankrupt nations and morally bankrupt people. We then see that this is New York City in the year 2003. Needless to say, the film's vision for 2003 isn't very pleasant — at least for those left on Earth. The Earth has an International Planning Commission, which naturally feels threatened by the idea of "uncontrolled energy" being harnessed by the people who work on Libra. The people of Libra seem happy, while those on Earth cope with the world government's dystopian top-down management of resources. The film follows an investment banker and a world government official who both travel to Libra on a fact-finding mission. The investment bankers are looking to invest in solar power and space manufacturing industries at Libra, while the world government senator is trying to figure out how he can rein in the renegade capitalists of Libra. On their journey to Libra in a space shuttle, the characters watch a film which explains how the space colony works. Here in space, the film explains, residents are free to "work, raise families and enjoy living." The illustration on your screen shows the exterior design of Libra. Residents live in the central sphere. A rotation rate of approximately two revolutions per minute provides a gravity-like force which varies from zero gravity at the poles to full earth-like gravity at the equator. Inside the sphere, the land forms a big curving valley rising from the equator to 45 degrees on each side. The land area is mainly in the form of low-rise terraced apartments, shopping walkways and small parks with grass and trees. A small river flows gently along the line of the equator. You will notice the small scale of things. But for the 10,000 population there is more than adequate population. Later in the film viewers get an interesting peek into what daily life is like when a resident shows the investment banker her Abacus computer. The Abacus is a bit like Siri — if Siri only knew how to read you a copy of Consumer Reports. As the resident explains, "Abacus is one of the most popular consumer-information computers on Libra. These computing systems will give and receive information when you want it, where you want it and in the style you want it." The Libra resident explains, "Now if you have any questions about products or services — anything from toothbrushes to a doctor's qualifications, it can probably react to you better than I can, in any one of four languages!" On second thought, Abacus is actually less useful than Consumer Reports given the fact that it doesn't make a recommendation for what it thinks is the best product or service. When the investment banker asks which wristwatch he should've purchased, the computer begins chanting, "freecision... freecision... freecision..."
The woman explains that on Libra the computer won't make any of your decisions for you, lest you become one of the mindless drones back on Earth: "Abacus won't make it for you! It can't decide what's best for you! That's your freesponsibility!" "Freesponsibility..." the investment banker says mulling over the concept. "That's not a bad word." "I know," the woman replies. "It's what's been attracting more and more regulation refugees from Earth." Ultimately, the biggest concern of the corrupt world government revolves around cheap energy being produced which competes with their stranglehold on regulating the world's energy supply. The senator goes on international TV to debate Dr. Baker from the Libra space colony. Dr. Baker is a sort of uber-Galt who preaches the gospel of free enterprise and makes a fool of the senator during their debate. By the end of the film we're left to wonder if the senator is a believer in world government anymore. With a long gaze into his eyes, viewers can imagine that he will soon join the others as a "regulation refugee." You can watch the entire film over at AV Geeks.